What we have discovered is that a 90% save rate is not truly fulfilling that promise. 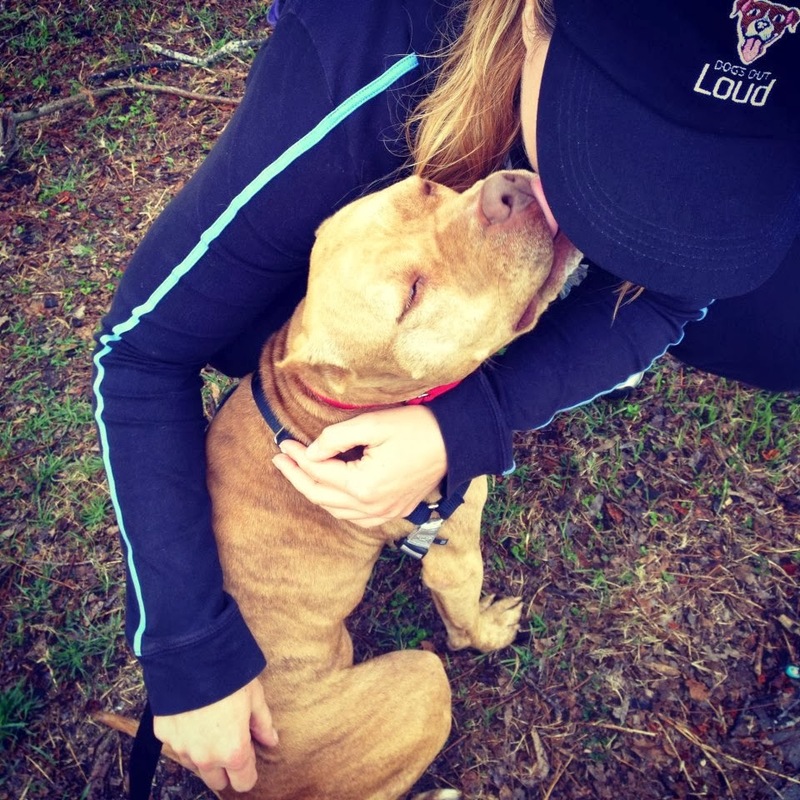 Our city has incredible programs to support nearly all of the vulnerable shelter populations save one: medium to large breed dogs with high-level behavior problems. While dogs with mild to moderate behavior problems can be supported through in-shelter behavior programs, there is a group of good, savable, rehabilitatable dogs that cannot. It is those dogs that are still dying in significant numbers at Austin’s city shelter. Dogs Out Loud was created to help fill this final gap, meet the needs of this last vulnerable shelter population, and contribute to making Austin a true No-Kill city and a leader and model for the rest of the world in what is possible in animal welfare and behavior work. Dogs Out Loud provides training, behavior rehabilitation, and high quality care in a home-like environment to medium to large breed dogs dying at shelters due to high-level behavior problems that cannot be addressed in or are exacerbated by the shelter environment. We provide additional behavior support services that address specifically identified gaps currently costing the lives of this subset of shelter dogs. 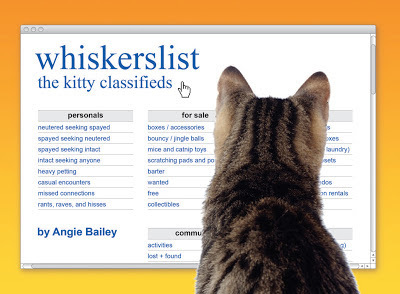 This clever parody combines two of the Internet's hottest sensations--cats and craigslist. With 160 hilarious classified ads written for cats, by cats,whiskerslist reveals the inner lives of our favorite furry friends like never before. 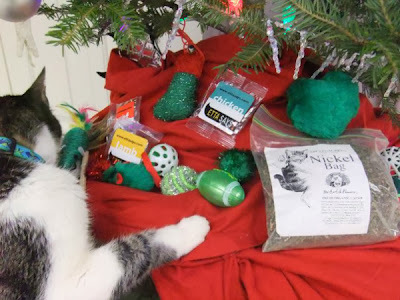 With categories ranging from "Personals" and "Gigs" to "Lost & Found" and "Help Wanted," the varied posts in this entertaining cat community provide an imaginative and entertaining look into what cats are really up to when left alone. A must-have for cat lovers who can't get enough of their quirky feline companions. "From seeking job opportunities in the gnawing sector to selling pizza boxes that have only been sat in once, whiskerslist is a hilarious look at how cats could really make the most of the Internet if you'd just leave your laptop open or didn't worry about their paws smudging your iPad." "Hilarious! 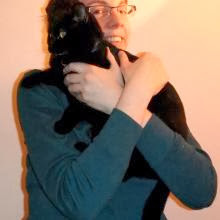 Anyone with a love of cats will surely love [this] book!" "What makes [whiskerslist] so damned funny? If you've ever spent a blessed second with a cat in your life, you'll know. You'll be howling -- in a good way!" 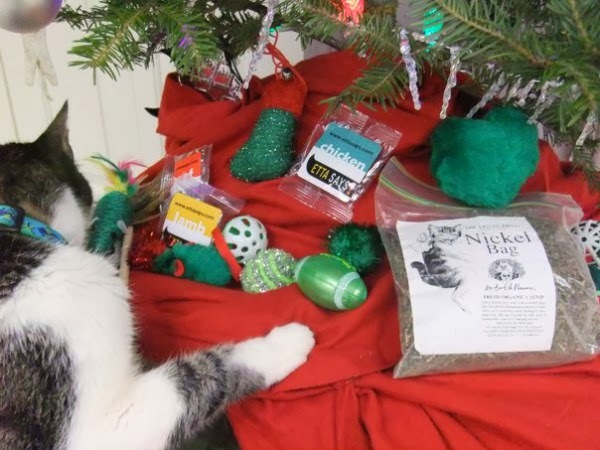 Do You Give Your Cat Christmas Presents or Other Holiday Gifts? I sure do -- and I even hide them under the tree! How about you? I’ve tried every positive-reinforcement technique I can find, but I still can’t keep my cats from investigating the counters. Likewise the table: If I have guests and we’re eating a meal, I have to put the cats in another room so we can enjoy our dinner in peace. They wake me up at 5:30 a.m., even on weekends, and sometimes they puke on my bedspread. But that doesn’t matter, because in every way that counts, they’re good kitties. They don’t climb the Christmas tree, even though it’s an extremely tempting target. They very rarely have knock-down, drag-out, fur-flying fights, and they’re not big on running for the door as soon as it opens. They’re more than willing to settle in for a good snuggle and keep me warm on cold winter nights. Capital Area Veterinary Specialists - Texas Veterinary Oncology is holding a Holiday Pet Photo event, with proceeds benefiting Austin Dog Alliance programs. 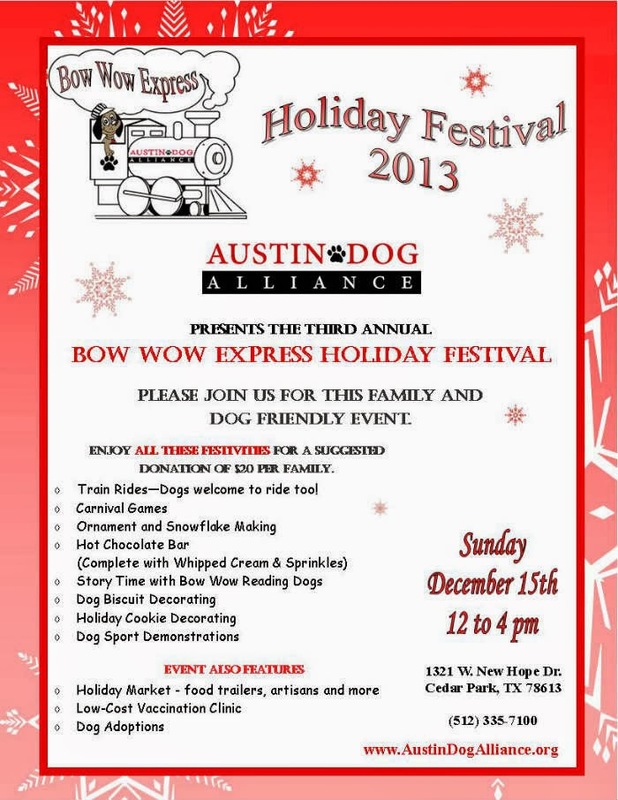 Date: Saturday, December 14, (noon-2pm) at the CAVS-TVO offices located at 7958 Shoal Creek Blvd. in Austin. Santa and other props will be available for the photo shoot. 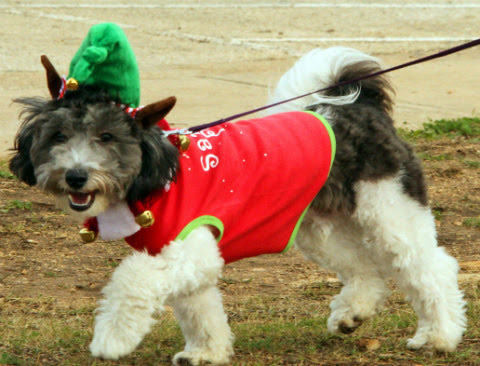 No charge for the photos, but CAVS-TVO will take donations to benefit Austin Dog Alliance. Photos by Aly Renee Photography. For further details, see CAVS-TVO on Facebook, call (512) 388-0944 or email cbingham@cavstvo.com. Live healthy and eating well are a popular pastime for Austinites, with various trends sweeping through town and becoming all the rage. If you’re dog lover, your pet can now join in with your healthy lifestyle and even perhaps shed a few pounds instead of just shedding fur on the couch. 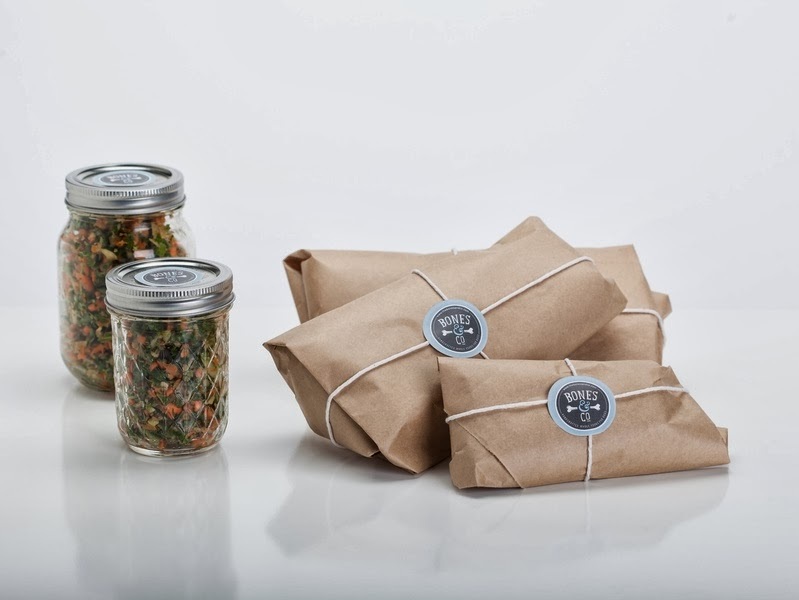 The launch of The Bones & Co., a local handcrafted meal-service business, could go a long way toward making making your dog's diet more natural — in addition to making your pooch feel pampered. The primary goal of The Bones & Co. is to steer your dog away from processed kibble and back to food that comes directly from Mother Nature. Founder Ryan Cummings, who has a master’s degree in agricultural business and five years' experience in the pet food industry, is ready to make dog food with ingredients you can pronounce. 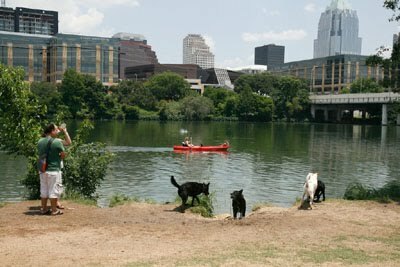 Labels: Austin dog food delivery, Austin-based dog food business, The Bones & Co.
AUSTIN (KXAN) - The Austin City Council is set to vote Thursday on design changes for the Auditorium Shores Dog Park. The proposed modifications will first be reviewed by the Parks and Recreation Board during their meeting Tuesday. The new design comes after many people were concerned about the reduced area for dogs off their leashes. The main concern for Parks and Recreation has been safety issues raised by having off leash dogs. Many also believe the plans were solely what C3 Presents, the company funding the project, wants. C3 is expected to donate $3.5 million over a 5-year-period. The new plan adds an additional 1.45 acres of off leash zone. It also adds 350 feet of open run area. Making those changes caused a 35 foot reduction in water access. No dogs will be allowed on the event lawn once the changes are made. If the new plan is approved on Thursday, construction of the off-leash area is expected to begin next April.